Plot: Two lives intersect in Mumbai and go along together. 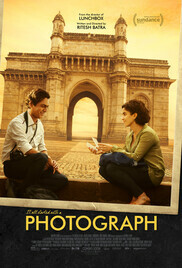 A struggling street photographer, pressured to marry by his grandmother, convinces a shy stranger to pose as his fiancée. The pair develops a connection that transforms them in ways that they could not expect. From Ritesh Batra (The Lunchbox).